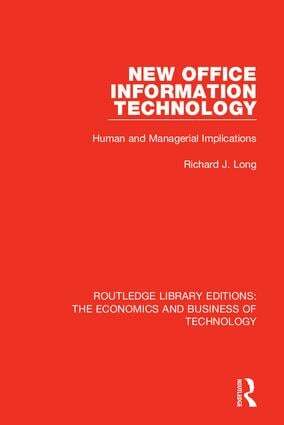 This book, originally published in 1987, evaluates the human and managerial implications of new office information technology, based on the actual experiences of organisations using the new technology. A variety of issues are examined including those centred on the role of the manger, producitivity, unemployment, physical and mental health. Major emphasis is placed on describing and discussing the implementation of new technology and ways of utilization which maximise benefits.